City Parks MD Bulumko Nelana and Ward Councillor Mahlomola Kekana were among those who rolled up their sleeves and took turns with the spades at Tuesday’s planting ceremony. 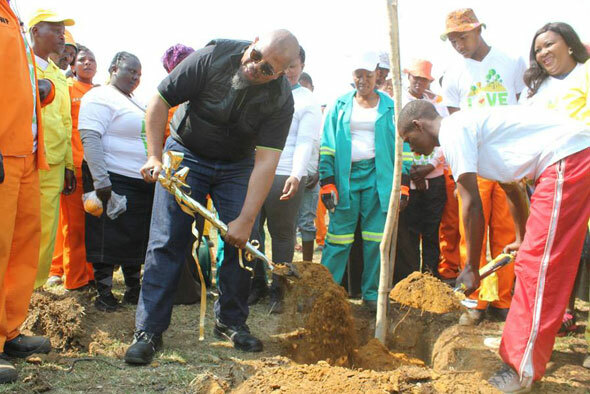 Councillor Kekana urged local resident to nurture their new trees, saying that trees in urban areas not only the value of neighbouring properties, but also boosted people’s mental and physical health. This year, City Parks is on a mission to plant 3 000 trees across the city, targeting poorer and disadvantaged areas that fall outside the “green umbrella” of the city’s wealthier suburbs.